The Haunted Vase illusion is a fantastic suspension and anti-gravity illusion. To make it takes about 10 minutes and the effect is awesome. The rope we use is called magician’s rope. It is cotton rope that have been cored. Magician’s rope is available to buy on the internet from lots of different shops. The success of this trick lies in the kind of vase you use. Firstly, it needs to be coloured glass – a clear glass vase won’t work. 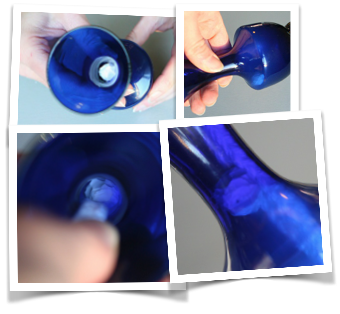 Secondly, the neck – or the opening of the vase – needs to be very narrow. Look at the vase that we have used and find something similar. A good place to look for these vases are charity shops. Have fun with this awesome gravity defying trick! Prepare your piece of rope (about 20 cm long) as shown in the pictures below. The next step is to make the ‘gimmick’. This is the secret bit that the audience don’t know about. Cut the rubber (eraser) into a little ball shape. Measure it all the time and trim small bits away at a time. It needs to be just a little bit smaller than the thinest part of the vase’s opening – also known as the ‘neck’. Be careful not to cut it too small. That’s it! You are now ready to perform the Haunted Vase Illusion! Once you’ve made the ‘gimmick’, have a look at the video for the handling method. You are going to slip the little ball into the vase without your audience noticing, using misdirection. When you place the rope into the vase, tip it so that the ball rolls into the neck (the opening) of the vase and trapping the rope. This is the moment of magic. When you release the vase, holding only the rope, the vase will float in mid air! 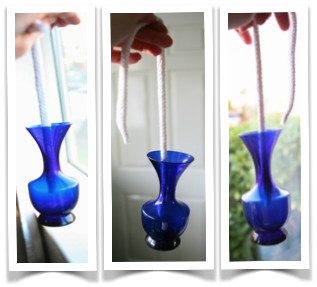 To release the rope, gently push it into the vase to let the ball fall into the base and leaving the rope free to come out. 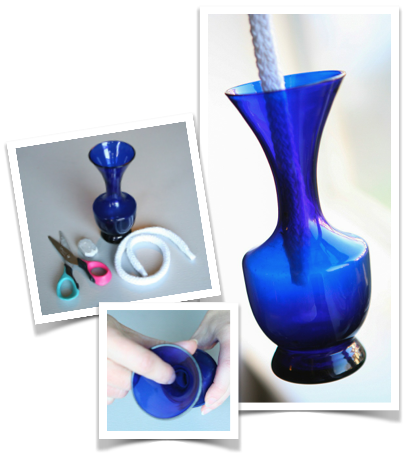 Also remove your gimmick (without your audience noticing) and you can hand the vase and the rope out for inspection. How cool is this trick? !